VANCOUVER — Clark County residents and elected officials had a chance to hear from representatives from the Oregon Department of Transportation (ODOT) and a partnering consultant Tuesday night on Oregon’s attempt to place tolls on I-5 and I-205. 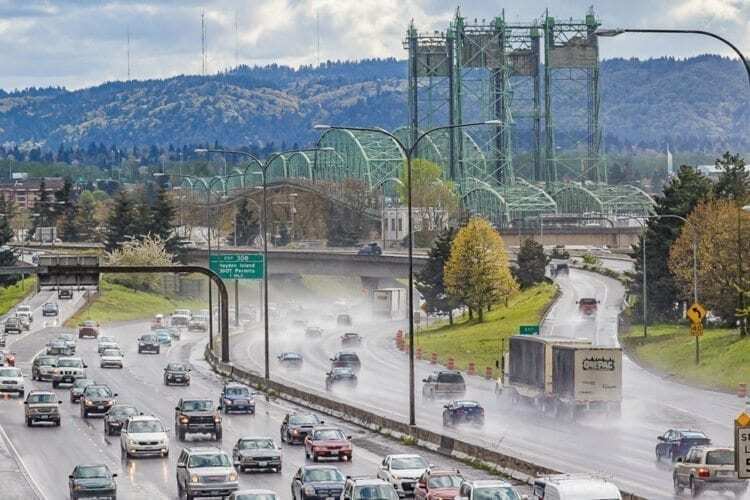 Hopefully, you’re aware that last summer, the Oregon Legislature passed a $5.3 billion transportation package in an attempt to put a dent in the many needs that state has to address in its infrastructure. You should also remember that transportation package did not target any funds for new crossings or corridors over the Columbia River. It also did not include any plans for new capacity (lanes) on I-5 and I-205. As part of Oregon’s plan to pay for this transportation package is the intent to place tolls on I-5 and I-205 somewhere between the south side of the Columbia River and Tualatin, where I-5 and I-205 converge. In order to finalize their proposal to the federal government, expected by the end of the year, Oregon’s elected officials and leaders formed a Value Pricing Policy Advisory Committee, which is three meetings into a six-meeting schedule that is expected to produce a recommendation to the Oregon Transportation Commission sometime early this summer. On the 25-person committee, sits just three members from Southwest Washington — Vancouver Mayor Anne-McEnerny-Ogle, County Councilor Eileen Quiring and a representation from the Washington Department of Transportation. It’s an understatement to say that the deck is stacked against us. Tuesday’s presentation in front of the Clark County Council hasn’t been the only effort by Oregon officials to reach out to Clark County leaders and residents. An Open House was hosted by ODOT in Vancouver in January. If the idea of tolls on I-5 and I-205 wasn’t so infuriating and unfair, I might be amused by the effort of the Oregon officials to sell Clark County residents on the “benefits’’ of the proposed tolls. That effort reminds me of a job I had for one day while I was in college. In my younger years, hopefully it’s no longer the case, I could be sold a bill of goods, especially when it came to prospective job opportunities. As is the case for most college students, I was broke much of the time so I was always looking for a way to make things easier. I responded to some employment advertisement that made it sound like I would just be taking order upon order from consumers who couldn’t live without some magical, unidentified product. When I arrived for the interview, it was at a private house in North Portland with more cats than I could count. I spent about 10 minutes with my prospective “boss,’’ who proceeded to hand me a script I could use to make cold calls straight out of the telephone directory in an attempt to make appointments for him to try to sell encyclopedias. The carrot that he dangled in front of me was that if I did a good enough job making cold calls, that someday I might be able to sell encyclopedias myself. My ‘’boss’’ handed me the script and a thick phone directory and left me alone in his home to make my cold calls. I will never forget the sickness I felt in my stomach when during my first call, the person on the other line hung up 10 seconds into my nervous reading of the script. Needless to say, I didn’t experience the “benefits’’ of that particular job opportunity. 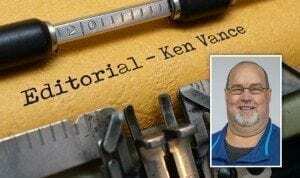 The script Oregon officials are reading to Clark County leaders and residents is even worse than the one I was forced to read some 25 years ago. “How do we mean ‘benefit?” Stewart asked the Oregon officials during the presentation. “We’re going to have Clark County citizens paying tolls, and getting no more capacity on the freeway. Oregon’s effort essentially boils down to trying to get us to change our driving habits during peak congestion hours, or to try to get us completely out of our cars altogether. Carol Levanen, executive secretary of Clark County Citizens United, summed up the thoughts of many Clark County residents, myself included. Clark County elected officials and citizens grill Oregon transportation officials Tuesday over prospect of tolling on I-5 and I-205 in Portland.